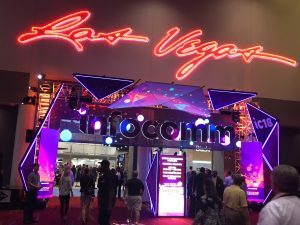 InfoComm 2018, which concluded last week for the first time under the aegis of AVIXA, InterComm International’s new name (derived from “Audiovisual and Integrated Experience Association”), demonstrated a shift in emphasis from A/V technology in and of itself to the use of that technology in the service of creating experiences. 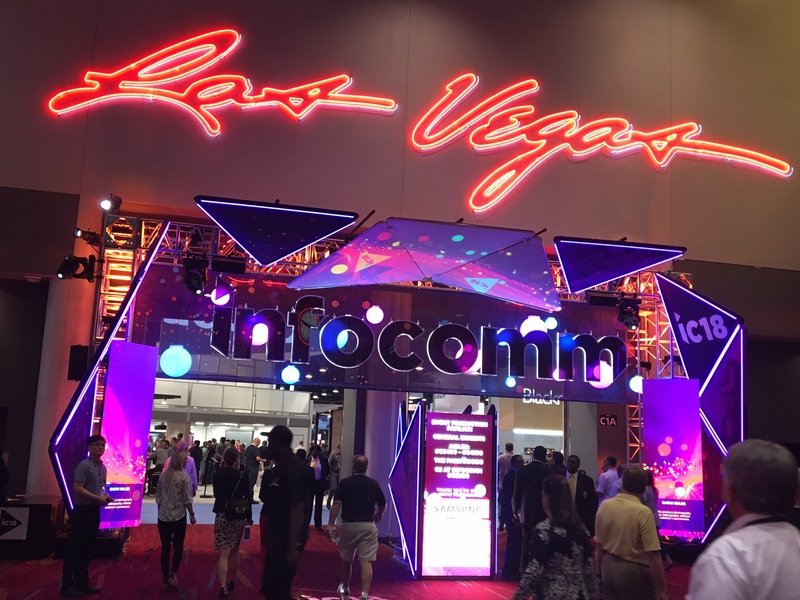 Nearly 43,000 attendees and 1,000 exhibitors participated in InfoComm 2018. 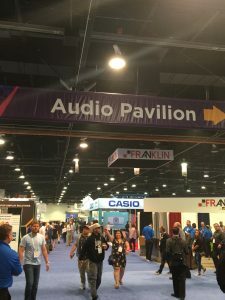 By the end of the show, nearly 43,000 registered attendees — a 10% increase over the last time InfoComm was held in Las Vegas, in 2016 — and nearly 1,000 exhibitors had shown their interest in and their wares matching that new goal. Demonstrating the growing intersection of A/V and IT, exhibitors included tech giants Google, Microsoft, Dolby, Lenovo, Intel, and Dell, alongside A/V stalwarts Dolby Laboratories, Audio-Technica, Panasonic, Shure, and Sennheiser. Audio in particular indicated the shift to immersive, more deeply engaging platforms. SVG sponsors A-T, Clear-Com, Professional Wireless Systems, Radio Active Designs, Sennheiser, Shure, Solid State Logic, the Telos Alliance TV Solutions Group, and Yamaha Corp. of America were among the 245 companies in the Audio Pavilion area in the venue’s Central Hall and the 23 exhibitors in the nearby demo rooms, where global sound-reinforcement vendors including d&b audiotechnik, L-Acoustics, Renkus-Heinz, EAW, D.A.S. Audio, RCF Audio, and K-Array, underscored the growth of the U.S. live-sound market, of which sports venues are a major component. As a result, the show introduced technology, such as software-based system-management platforms, being developed by audio manufacturers to provide additional evaluation criteria that will influence purchasing decisions. For instance, L-Acoustics’ Soundvision, a 3D, real-time acoustical-simulation program allows sound designers to define target SPL and will calculate the optimal speaker angles to achieve it, applying DSP settings for system optimization. Besides plenty of M&A activity preceding and even during the expo — A/V integrator Diversified, which has put audio into such venues as the Miami Dolphins’ Hard Rock Stadium, announced the acquisition of UK-based Digitavia — InfoComm 2018 saw several product alliances in search of synergies. For instance, Yamaha and Sennheiser announced that the Sennheiser Digital 6000 microphone systems can now be integrated into Yamaha CL and QL series consoles, via forthcoming Sennheiser and Yamaha firmware updates. These updates mean that Sennheiser’s EM 6000 and EM 6000 Dante-compliant wireless receivers can be monitored directly from the consoles, allowing engineers to check such parameters as RF performance, link quality, audio level, and battery status directly from the console and also to adjust certain parameters without the need for additional software or screens. This integration is already available for Soundcraft Vi000 consoles. 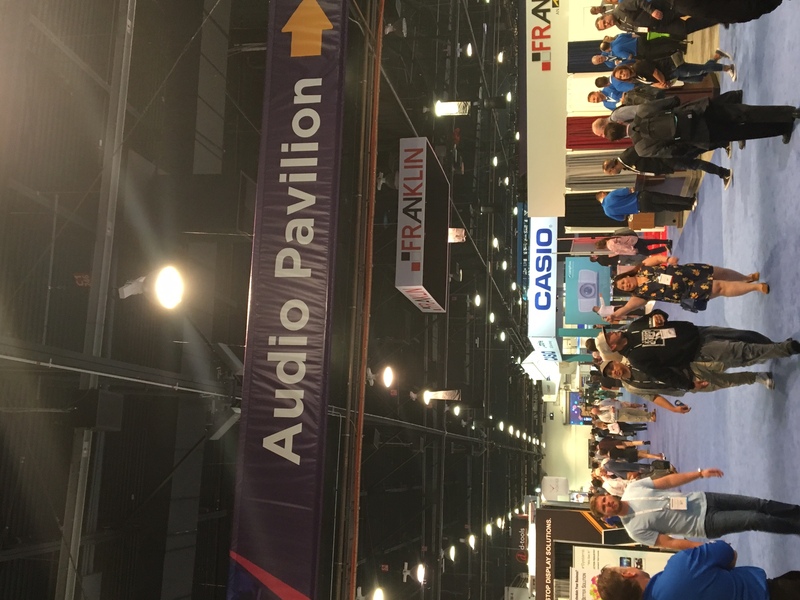 The Audio Pavilion at InfoComm 2018 housed 245 exhibitors. “Sennheiser is always keen to collaborate with other manufacturers to allow our systems to interface with their products, making user workflows as smooth and easy as possible,” says Tom Vollmers, senior product manager, professional audio, Sennheiser. Another example of collaboration was found in Avid’s announcement that development partners Flux::, d&b audiotechnik, and L-Acoustics have each integrated immersive-sound–processing solutions — respectively, SPAT Revolution, Soundscape, L-ISA — with the Avid VENUE | S6L live-sound system. Each company has developed an AAX DSP plug-in that runs natively on the Avid VENUE | S6L to provide tactile control and software integration of its respective system from the S6L surface and VENUE software, allowing engineers hands-on control over surround parameters from the console. Underscoring the expo’s enhanced status as a live-event–technology show, SSL launched its L100 compact live-sound console, which features a 12+2 fader-configuration frame while retaining the same fast-access layer/bank switching and Super-Q technology to keep all channel, group, aux, VCA, or master controls handy. According to Solid State Logic CEO/Group Commercial Director Piers Plaskitt, it can provide a major-league level of live-sound control to any size sports venue. SSL also announced the launch of new Remote Tile hardware and V4.7 software, which includes an upgrade to SSL’s Super Query workflow, enhanced TaCo (remote tablet control) features, a new Transfer Function Analyzer Tool and Auto Pan effect, and support for external-touchscreen control. Other manufacturers also had a busy show. Shure released the latest version of its Designer software application, providing improved workflow efficiency in configuring Shure products during design and build cycles. The company also announced that it will offer an Integrated Systems Certification Program through the Shure Audio Institute (SAI), featuring training courses on integrated systems for channel partners, A/V professionals, systems integrators, and audio engineers. Pliant Technologies announced shipment of its new CrewCom wireless intercom system, which can be used simultaneously in both 2.4 GHz and 900 MHz frequency bands. Dolby, exhibiting at an InfoComm Show for the first time, demonstrated how Dolby Voice, its new audio codec that sharpens intelligibility as it also follows individual speakers around a defined area, is being integrated with other applications, including Blue Jeans’ online meeting app, a capability that could have live sports application in the future. The show took place within the context of continued growth in the A/V industry in general. AVIXA’s most recent comprehensive survey, 2017 AV Industry Outlook and Trends Analysis (IOTA) Global Summary, which provides an economic outlook through 2022 for the A/V industry worldwide, pointed out that professional A/V generated $178 billion in 2016, with 4.7% annual growth predicted through 2022 adding $52 billion in value. With spending on the construction of sports stadiums and arenas estimated at $4.1 billion this year and expected to reach nearly $6 billion in 2019, sports-venue A/V will likely drive much of that expansion.